Spring is a wonderful time to start new and the best time to pursue the rejuvenation of skin into its radiant and glowing state. Boostceuticals offers their best all natural healthy skin supplements to support making a wise and healthy choice this Spring. New York NY, United States - March 28, 2019 /MarketersMedia/ — Too often, when it comes to solving issues with our skin, we look to products—thinking that perhaps a night serum will solve all of our issues. As Spring is a time of renewal and as flowers are blooming our skin is emerging from a combination of intensive winter moisturizer and chapstick. After months of facing the extremes of hot, dry indoor air and the harsh cold outside, our skin is ready for something new. There is talk about inside out beauty and that skin problems are now commonly linked back to what is going on inside the gut. Boostceuticals Nutrition has noticed that even if one adheres to a pristine sugar-free, dairy-free diet with plenty of healthy fats, fermented foods and downing loads of fiber, green juice and water daily they still can’t help the development of fine lines creeping in or regularly breaking out. Boostceuticals believes that all necessary nutrients, including vitamins, minerals, and probiotics can be obtained from one’s diets— ‘But let’s be honest: Achieving optimal levels through diet alone on a daily basis is often not realistic today. People are busy, and subsequently dietary options can fall short once in a while, despite one’s best efforts.’ said Leo Eliades, CEO of Boostceuticals. ‘Sometimes a supplement boost may be just what is needed to get our skin back on track in Spring. We believe with the natural power of Boostceuticals Gamma- E and Boostceuticals Red Marine Algae, our valued customers are provided with that extra support they may need to achieve and maintain that youthful, glowing skin that they deserve.’ he added. With its superior Alpha-Gamma protection, Boostceuticals Gamma E (GAMMA TOCOPHEROL VIT E) contains non oily dry Vitamin E 400iu. This type of Vitamin E is a highly effective antioxidant when it comes to anti-ageing support. Thus supplementing with Boostceuticals Gamma E helps to reduce oxidative damage and disrupts the chain reaction caused by free radicals. It also prevents wrinkle formation by supporting new skin cell growth and speeding up cell regeneration. In the new season, Boostceuticals Gamma E is highly encouraging for those starting to grow their fine lines or those who spend a lot of time in the sun (or have previously). In addition, another must for go-to-glow supplements would be Boostceuticals Red Marine Algae. Red Marine Algae contains high quantities of peptides – which are instrumental for effective anti-aging products. 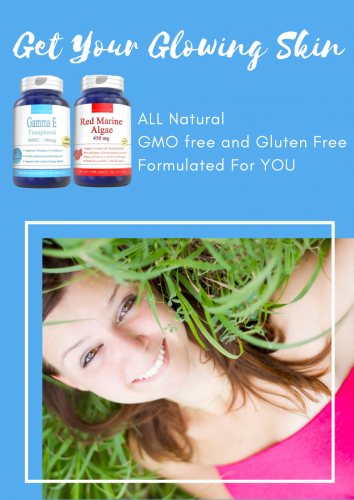 Aside from its phenomenal antioxidants, Red Marine Algae is also known to be the natural source of minerals such as magnesium and Vitamin B.
Magnesium has an incredible ability to regulate and dampen the effect of stress hormones and can also assist in synthesizing serotonin, the feel-good hormone. With the magnesium from Boostceuticals Red Marine Algae, one can avoid the usual breakouts or red and irritated skin or hormonal ache every time one experiences excessive levels of stress. And for those who constantly experience dry skin or skin prone to fine lines and wrinkles, redness or rosacea, hormonal skin breakouts, cracked lips or sensitivity to sunlight, the activated B complex from Boostceuticals Red Marine will reduce the inflammation in the body. This is also the reason why many of those who have conditions such as rosacea and dermatitis use Boostceuticals Red Marine Algae. Boostceuticals Red Marine Algae known as a true superfood and Boostceuticals Gamma-E are already great on their own but as one supplements with both they might have the makings of the ultimate skin care regimen. Best of all, these supplements are natural, GMO free, gluten-free and lactose-free. So as spring is going full bloom, one can easily adapt to any changes in the skin, including hormonal imbalances, pollutant aggravators and stress to fix and alleviate symptoms. With Boostceuticals skin supportive supplements, women can now easily revitalize and rejuvenate their skin by improving the health of the skin cells and helping to produce more crucial proteins. Boostceuticals is dedicated to supporting people on their pursuit of health and wellness. With the right blend of nature and science, all Boostceuticals supplements are manufactured to the highest-quality standards in the USA in an FDA certified facility adhering to all GMP requirements. Every step is taken to ensure the development of superior and best quality nutritional supplements. With its use of natural ingredients and being GMO free and gluten free, it has become the sensible and healthier choice for every American household.